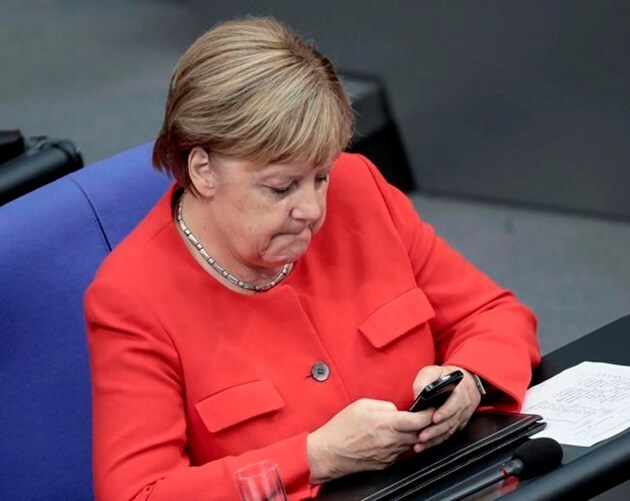 Private data stolen from hundreds of German politicians including chancellor Angela Merkel have been published online, the government said Friday, in a stunning breach of cyber security. It was not immediately clear whether the officials were targeted by hackers or the victims of an internal leak of the data, some of which dates back to at least 2017. "The government is taking this incident very seriously," Merkel's deputy spokeswoman Martina Fietz said. Among the estimated 1,000 people affected were members of the Bundestag lower house of parliament and the European Parliament as well as regional and local assemblies, Fietz said. However Christian Lueth, parliamentary group speaker for the Alternative for Germany (AfD), later said that his party's deputies were not hit by the attack and the interior ministry confirmed this.